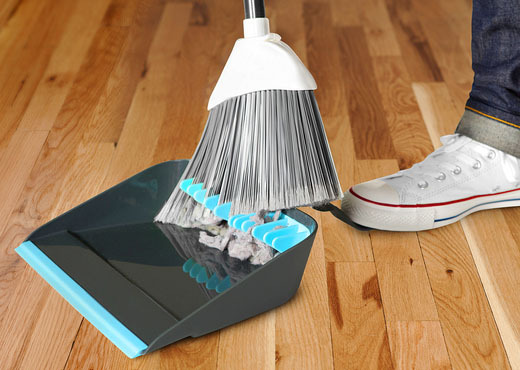 Quirky's Broom Groomer, the "broom cleaning dustpan," is a simple and useful innovation, allowing users to strain the dust bunnies from a broom after sweeping - alone, enough to merit a mention here on Unpressable Buttons. But it's also been the subject of a patent/design plagiarism fight described by Gizmodo - to sum up, Quirky came out with the Broom Groomer, then OXO released the very similar Upright Sweep Set, but it turns out both were essentially the same as a now-expired patent from 1919. So, what's been stolen is the notion of modernizing an old idea, maybe? Regardless, it's a clever and useful design - so it's good to see it on the market! I'd originally saved this product, Quirky's Glide knife squeegee, in the mental category of "clever and useful." But as I look at it again, I've come to believe that it's just... too much. It's another piece of plastic, riding shotgun on your kitchen knife, maybe getting in the way of your knife grip, and requiring its own cleaning regimen. And for what? "Keeping a chef’s fingers safe from slicing, along with the stench of garlic or onion?" Thanks, but I'll use my finger, or a paper towel if necessary, and save my eight bucks. Headphone Cords: Which side is it, anyway? With all the things we have standardized in the modern world - from electrical outlets to tire inflation valves to toilet paper tubes - it can be a little shocking when we run into something that sticks out as not standardized. 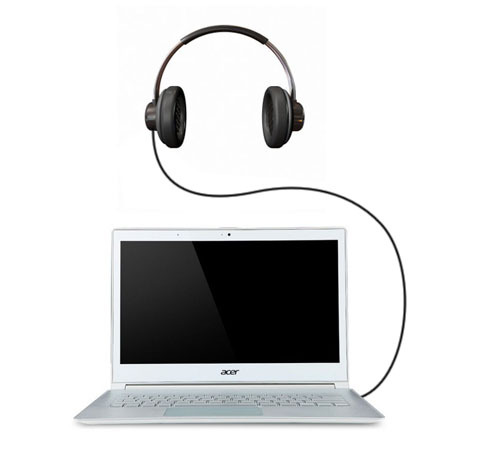 Kyle Wagner writes in Gizmodo about one that irks him: the location of headphone jacks on computers versus which side the cord enters the headphones. He explains, "Headphone cords almost uniformly insert into the left cup... And the headphone jack on iMacs is on the right side as you face the screen... That means when you're wearing your headphones at your desk, you've got to either wear your headphones backwards or drape your cord across your workspace." Though the connector itself has been standardized for decades, it looks like the industry stopped one step short of finishing the job! The question is, how do you create a standard for this now and make it stick...? Holstee has always impressed with its commitment to real upcycling, shown so far in their Delhi Rang wallet made from plastic bags and shirts made from post-consumer waste or reclaimed thrift shop items. 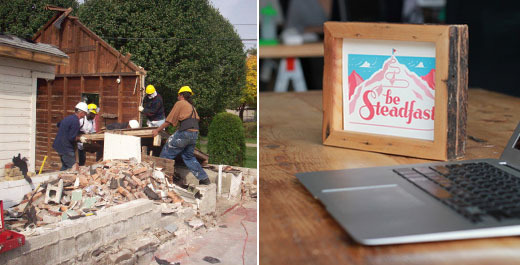 Their latest project is no exception: the Reframe is an attractively hipster-rugged frame made from deconstructed abandoned Detroit houses, and in a double-whammy of upcycling, they suggest using it transform greeting cards into display-worthy art. Clever and commendable as always, Holstee team!